Brad Richter rethinks what can be accomplished with a guitar. 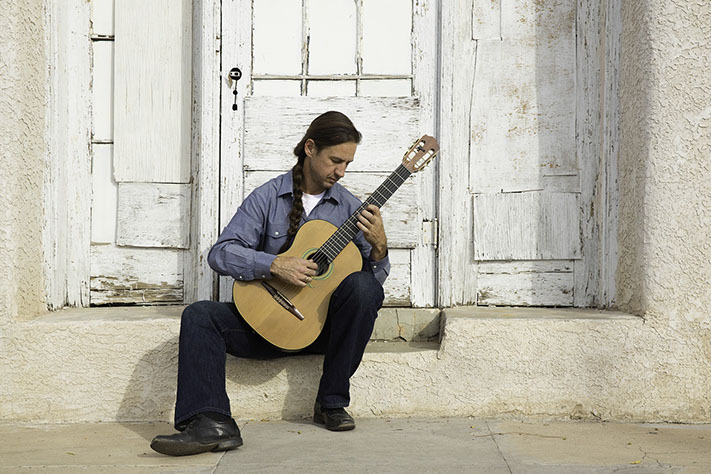 From his innovative hybrid of percussive fingerstyle and classical guitar techniques to his visionary educational outreach programs, Richter has garnered international attention from guitar fanatics and casual listeners alike. His original compositions draw on his life experiences, including his fifteen-plus years teaching on Native American reservations, with works inspired by origin stories from indigenous tribes of the American Southwest, coming-of-age rituals of the Apache, or countless hours spent practicing guitar in the forests of rural Germany. Richter pairs these candid originals with pillars of the classical guitar repertoire — including masterworks by Augustín Barrios, Francisco Tárrega and J.S. Bach — in solo guitar programs that celebrate the joys and challenges of being alive. 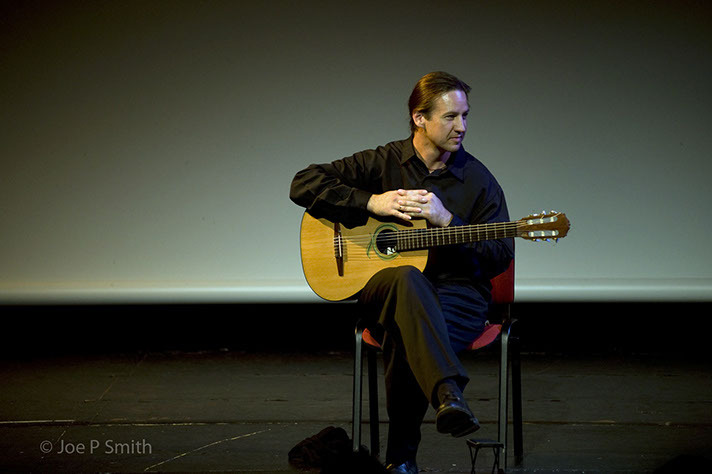 "He brings something innovative to the world of the classical guitar and he does it unpretentiously and with an air of coolness." "Like Franz Liszt with the piano, Brad Richter utilizes techniques of his own invention and brings them into a framework that works so beautifully." "Richter’s playing is expert. His tone is lovely, his technical command sure." "A guitarist who, like Paganini, is known for ignoring the generally accepted limits of his instrument." "Music can hardly be refined to a higher standard... A master." Brad Richter is the Founder and Executive Director of Lead Guitar, a not-for-profit that establishes permanent guitar programs in schools with at-risk youth. Lead Guitar draws connections between instrumental music study and improved academic performance, discipline and work ethic. 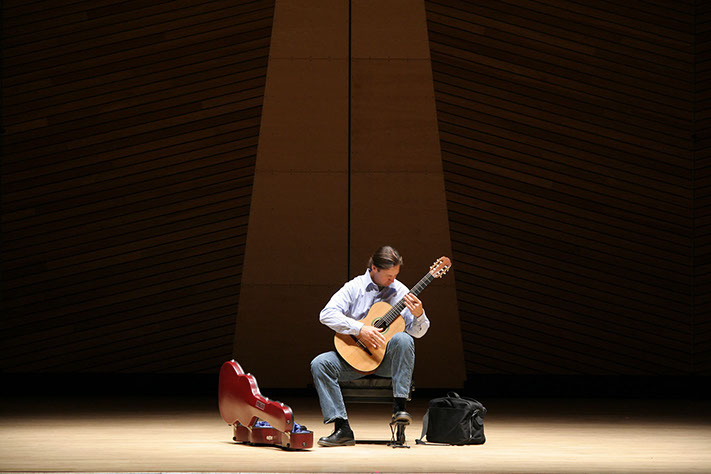 The program recently joined forces with University of Arizona, where Richter is Director of Outreach, and now teaches more than three thousand students every year to play classical guitar, with a thirteen year history of building guitar programs in challenging school environments. Richter and Lead Guitar have partnered with other high profile organizations, including the Aspen Music Festival and the Boys and Girls Club, to bring music education to communities that need it most.